Last week, I decided to combine two vehicles into one to save on insurance and free up garage space. Since buying an Accord earlier this year, the Ridgeline has sat unused. I very rarely need an open bed and when I do I have friends and family with trucks. I can also pay a lot of delivery fees and rent a lot of trucks with what it costs to insure a vehicle that is rarely driven. So, I decided on a white/ebony 2019 Acura RDX Advance FWD. The Accord Sport 2.0T was fun to drive, but it wasn't as comfortable as the Ridgeline. The RDX is almost as comfortable as the Ridgeline and almost as fast as the Accord, so it seemed like a good compromise. This is my first Acura after having purchased nine new Hondas in the last 12 years. Since most people get on here to complain, I'll get those complaints out of the way and offset them with three positives. 1. I can't get the AcuraLink remote features to work. Acura is "working on it on their end". I've done everything I can do (reboot, reinstall, sign out/in, etc.) My vehicle shows to be enrolled on the AcuraLink website, yet it says my vehicle is not compatible with AcuraLink. Um... It's an Advance trim and the telematics unit is operational for voice calls and updates, so I'm not sure what this is all about. 2. There is a loud vibration that I can feel and hear only while stopped in reverse while the engine is cold. It doesn't do it in drive, while moving, or after the engine warms up. 3. The transmission shifts harshly from 1-2 and 2-3. My Accord did this when it was new as well, but it improved somewhat over the first several hundred miles. 4. The driver's A-pillar trim is warped and bows inward in the middle. 5. There's a pucker in the driver's seat bottom leather where the stitching ends for the thigh extension. 1. With a good source, the ELS 3D Studio audio system sounds amazing. 2. Road noise over coarse asphalt is tolerable and lower than expected. It's comparable to the Ridgeline and was deafening in the Accord. 3. Then engine feels and sounds great (for a four-cylinder). 5. The full-LED adaptive headlights really light up the road without creating too much glare. 6. This is my first vehicle with a HUD. It may sound silly, but the thing I like most about it is that it makes the vehicle feel longer by giving the impression of a "simulated hood ornament". I miss those things! I kind of did the same thing. I had a 2016 Accord Sport that pretty much sat, I think I put 8k miles on it in the 2.5 years of ownership. Then I had my wifes 2015 explorer that was the kid hauler. Anytime we went anywhere we went in the Explorer. So I traded the Accord in and made money by doing so. Then I sent the Explorer back to Ford and picked up a 2018 Odyssey. I kind of did the same thing. me too. Ha ha. .
Dealer advertisements have been removed. I'm getting the front windows tinted tomorrow. It came with a cargo mat, splash guards, and all-season mats. Like all my previous vehicles, it'll get a weekly hand wash and will still look new whenever I get ready for my next vehicle whether that's three months or seven years from now. Acura must have fixed the AcuraLink remote services overnight since they're all working this morning (even though they haven't called me yet to follow up). The Ridgeline was fantastic. It required no warranty repairs during the two years and 21K miles I owned it. Performance is virtually identical to the RDX according to Car and Driver instrumented testing and it's a little quieter, smoother, and easier to drive, but not as "fun" or handsome as the RDX. If I had more than a very rare need for an open bed, I would have kept it. The Accord was noticeably faster and more fun to drive than the RDX, but road noise over coarse pavement was excessive and the audio system was inadequate for anything beyond casual listening. And, of course, it lacked the RDX's luxury touches and didn't carry as much cargo. Still, it's a terrific vehicle for buyers who haven't jumped on the SUV bandwagon. Life's too short to be unhappy with a vehicle, so after 3.5 months with the RDX, I'll be swapping it for another Ridgeline after work this evening. 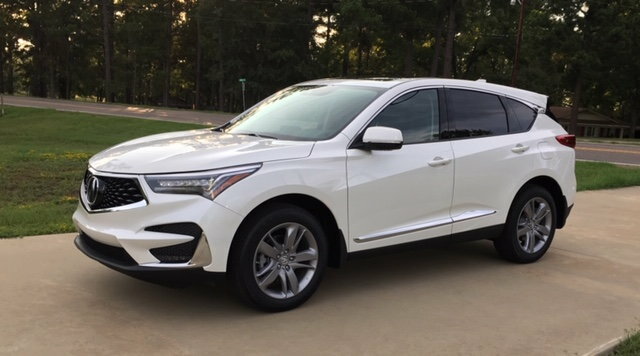 The RDX is a great looking SUV that handles well and offers a lot of value, but the one I got just had too many problems and I ended up dreading driving it more often than enjoying it. I also regret settling for FWD instead of AWD - even for daily driving here in Texas. I'll miss the awesome, curve-adaptive, full-LED Jewel Eye headlights, the impressive ELS 3D audio system, the True Touchpad Interface, and ventilated seats, but I will enjoy the Ridgeline's lower fuel cost, smoother engine and transmission, AWD, open bed with speakers and AC outlet, isolated trunk (great for transporting pizza without smelling up the cabin! ), peace-of-mind of having a spare tire, and much closer dealer access. I tried combining the utility of a truck with the handling and efficiency of a car, but it didn't work out. An SUV just isn't the right type of vehicle for me. The Ridgeline does truck-like things (which I rarely, but still occasionally need), yet rides and handles more like a car. Even though it's an expensive hobby, I rarely regret the vehicle purchases I make - the RDX was one of the few. Life's too short to be unhappy with a vehicle, so after 3.5 months with the RDX, I'll be swapping it for another Ridgeline after work this evening.........Even though it's an expensive hobby, I rarely regret the vehicle purchases I make - the RDX was one of the few. I understand your decision. I was in the same position (although for different reasons) when I transitioned from my '14 Cadillac SRX to the RDX. The vehicle I had in between looked good on paper and did what it did quite well - it just wasn't what I wanted/needed. Took me about 9 months to leave it but no regrets on doing so. In the 4 months I've had the RDX I've put on nearly as many miles as I did in 9 with the previous ride. What is the dealer offering you for your RDX? I paid $38,400 for the Ridgeline RTL-E, which is $75 below invoice less holdback. They gave me $39,500 for the RDX Advance FWD, which is $1,173 below invoice less holdback for a new one. So how much did you lose on your RDX after 3-4 months? Life's too short to be unhappy with a vehicle, so after 3.5 months with the RDX, I'll be swapping it for another Ridgeline after work this evening. Wowww.... Thanks for posting this. I'm leaning strongly towards waiting for the Honda Passport instead of going with an RDX. I realize it's a completely different car but that's okay. Sounds ...if you are 99 years old...should you even be driving??? The Passport is going to have that garbage ZF9 transmission. I wouldn't touch it with a pole. If you can wait for the passport, just wait for the 2020 RDX. The RDX is having the issues it's having because it's the first year of a TON of new technology and platform and transmission. What makes you think a first year of a new model (Passport) would be any better than the RDX in its second year of production? With that said, I find the 9HP to be less irritating than the 10AT at this point. The Passport made be an all-new model, but its platform is shared with the MDX, Pilot, Ridgeline, and Odyssey. The 9HP has been in production for over five years and has been refined somewhat over that time. The 10AT has been around less than half as long and has only seen widespread use in the 2018 Accord 2.0T and 2019 RDX. I'm not the biggest fan of either transmission, but I'd take a 9HP at this point over a 10AT - dog clutches and all. It's too bad neither shifts as smoothly as Honda's 6AT. That is true, I've heard from numerous people that the 10AT isn't exactly that smooth either. But I'm inclined to believe that with some software tuning it can be smoothed out whereas no matter what is done with the 9AT it will always be irritating because of the dog clutches. You do have a point that the Passport will be based on a previous platform and has had some time to be worked over as well. But that 9AT is a no go for me personally. Not the Acura I'm used to hearing about. What makes you think a first year of a new model (Passport) would be any better than the RDX in its second year of production? Yep, like zroger said, the Passport is basically a Pilot. Just 6 inches shorter and without a 3rd row of seats. Ask Wander how he liked his Pilot. I'm not sure how to tag people Wander ....wait I think that worked. I can't see what you guys are referring to. I'm on a phone if that matters. And no, it's not a rotary phone. When viewing this site on a computer people can see some of your profile information under your user name and it shows that you are 99 years of age. Go to your profile and update your age or birth date. I was so confused why everyone kept telling him he's 99 lol. I'm on mobile too go figure haha. With all of the data breaches these days I can see why one wouldn’t put their actually data on many sites, user accounts etc. It just seems like the more places someone has their data the more likely they’ll get their identity stolen. Yeah, world looks a lot different on a big screen - you can see so much more. I agree, I never put my real information on any sites I go on. It's scary how easy it is to get your information nowadays. I have some friends on my social media who have their accounts public and literally have in their biography what university they go to, where they work, their birthday, where they are currently. It's so stupid. Coincidentally, I got a bunch of Happy Birthday email messages overnight because I always select "January 1" as my date of birth on sites like this. Sounds Now you’re 100, FWIW. Using a tablet here. It shows month and year you joined the forum, age, number of posts, number of times thanked on threads next to your screen name on every post you make. It’s a profile setting as some people’s age doesn’t show up at all. Last edited by Master47; 01-03-2019 at 03:12 AM. sorry for your loss of your man card. Dude. I didn't know you had an Odyssey... That thing sounds so mean... Short gearing makes for quick acceleration... Tires spinning at 30 mph and everything! He likes the RDX more and is finding excuses to drive it. I'm gonna assume you meant your Advance was AWD, not FWD. I suppose it's possible but why would Acura build such a thing? Who would buy such a thing? Are you saying that building a FWD Acura is a mistake??? Are you mocking those on this forum that bought a FWD RDX??? Do you realize that every model Acura sells except the NSX comes standard with front-wheel drive? SH-AWD is optional and far less common here in Texas along with other southern states. Why did I buy FWD instead of AWD? 2. We may get one snow day every four years and even then, it's usually no more than about 4". Even RWD vehicles have no problem getting around in that. 3. Slightly better fuel economy. 4. Finding AWD locally in your preferred trim level and color generally means waiting weeks or months. 5. Less maintenance - no rear differential or transfer case fluid.